Remember how both Flaherty and Carney were screaming that the Canadian housing sector is way too hot and that it needs to adjust? 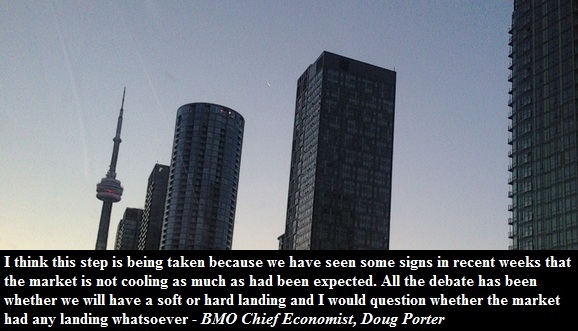 Remember how both were taking steps to tame the risk of a housing bubble in Canada? And... nothing happened! Canadian home sales dipped for a year but the much awaited housing correction never really happened. The great Canadian housing bubble keeps on inflating! All those mortgage rule changes have yet to stop the insane housing inflation. Yet the government continues tinkering with them in hope of engineering a soft landing. Just yesterday CMHC started limiting guarantees to banks on mortgage-backed securities to put upward pressure on mortgage rates in order to cool the Canadian housing market. But why? Flaherty once said that there were early indicators of a housing bubble developing in Canada and today we continue to see them. 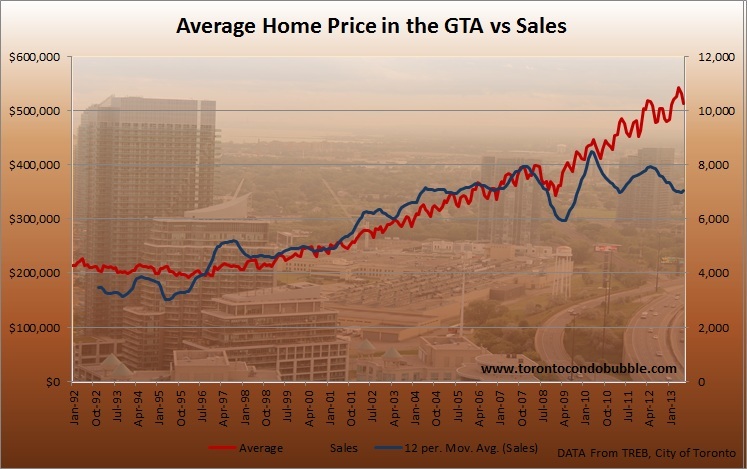 Now, as a case in point, let's look at Toronto where this past July both sales and prices were up significantly. Sales increased by 12.8% versus the reported 16.4%. The average price rose over 7% from a year earlier. The graph below shows the breakdown of housing inflation by market segment and area. 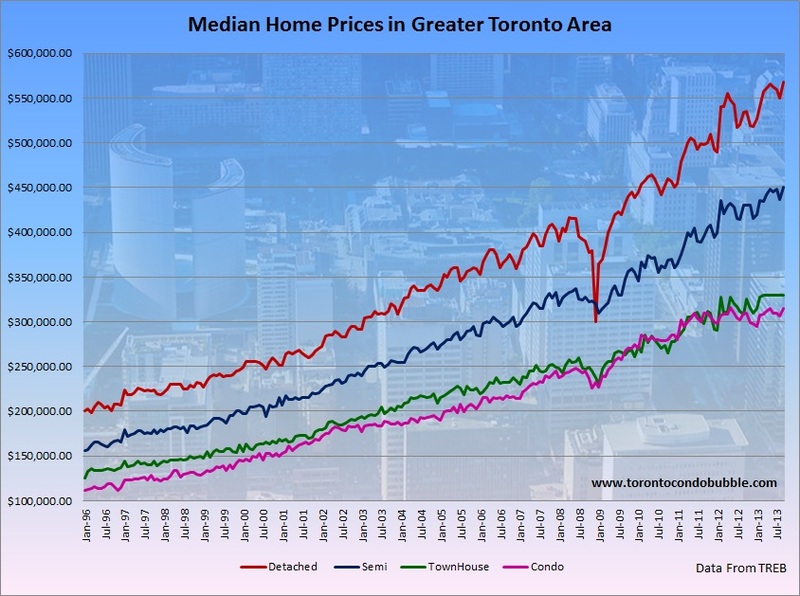 Another graph below shows historic housing prices in Toronto by dwelling type. The question is whether the past month's statistics are an indicator of Toronto's housing market becoming red hot one more time, or is it just an outlier? It is quite possible that the increased activity in the housing market is the result of recent increases in the mortgage rates. Buyers are scared that rates will rise further and so they jump into the market right away while the rates are still quite low. By the way, yesterday's CMHC rule change is expected to propel mortgage rates to rise by somewhere between 0.15% and 0.45%.